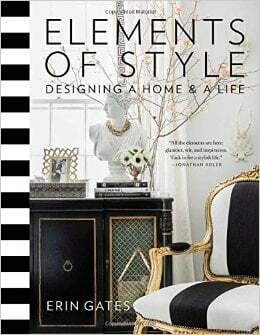 I recently picked up a fantastic new design book from Erin Gates, the designer and blogger from Elements of Style and I absolutely loved it. Erin did such a fantastic job of beautifully filling the book full of so many great styling ideas, design tricks and layering ideas. Of course being a paint geek, my favorite part of Elements of Style is a section where Erin shares her “Go To” paint colors that she uses in her design projects. So many great colors! After reading Erin’s book, it really got me to thinking about all of my favorite design books that have really inspired me so much me over the years. While I find a lot of my inspiration online, nothing gets my brain churning more than looking through a beautiful design book that is loaded full of fresh and timeless design ideas. There is just something about touching the pages, seeing the images in print and reading the designer’s thought process that inspires me to look at my home in a different way. Today I thought I would share my favorite design books that are seriously loaded with great inspiration, creative design tips and fantastic ideas that immediately get your brain churning. Several of them are great paint color resources as well. While a few of these books are older, I still find myself going back to them over and over and I always see something new. Here are my favorites just click on the number of the book directly below the image to find out more about the book. 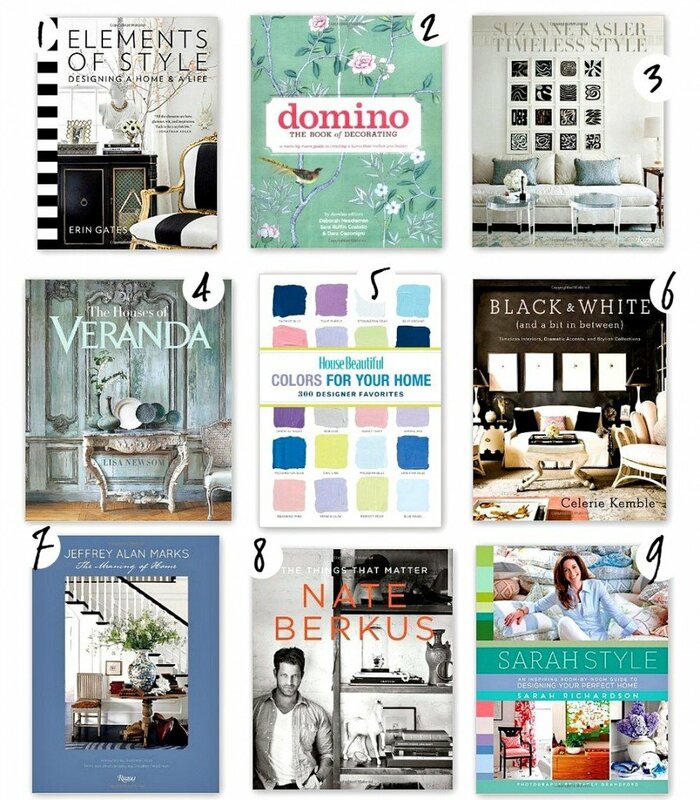 I have also included the #1 bestselling interior design book right now (that I haven’t read) by Sarah Richardson called Sarah Styles. I included it because it’s #1 and I have been so excited for it to be released on November 4th. By the way, I noticed that several of these books are on sale right now on Amazon. What’s your favorite design book? I would love to know what book you find yourself going back to time and time again. For me, the older Veranda above (there is a new version out), has become my favorite. Good choices, Cyndy. I would add my favorites by Darryl Carter “The New Traditional” and “Collected Home” to the list too. Oh thank you Vivi, I will have to take a look at Darryl’s book. For some reason, I think I have heard that before from someone else and never put it on my list. Thanks so much for the recommendation Vivi! Southern Living Style and Martha’s Entertaining are my “go to” books for inspiration. I adore them! But you have several books I have not seen before so I’ll have to take a peek!